If you came up with the same conclusion this challenge is perfect for you. The Drunken Cyclist came up with the idea of a Monthly Wine Writing Challenge, The Armchair Sommelier set last month’s theme (both blog names are fantastic word associations in themselves) and it’s my turn to set the challenge for September 2013 – thanks to everyone who was kind enough to vote for me. The theme is . . . POSSESSION. What associations does that word conjure up for you and how does that relate to wine? Deadline for submission: Monday, September 23rd 2013 (four weeks from now). Winner Announced: Sunday, September 29th (like The Armchair Sommelier, it takes me a while to do maths). 3. The post should be between 500-1000 words because it’s been proved that people nod off after this time. If you disagree and can keep them riveted, go ahead. If you search WordPress for the tag wplongform you’ll realise you are not alone. 4. The post has to include a connection to wine (it’s a wine writing challenge). 5. Post your article/essay on your own blog. Link back to this post, send me a link to your post, or include it as a comment here (or do all three). I will link to all the posts at the voting announcement (on 24th September). 7. Once voting begins, vote for your top three favourite posts… but you can’t vote for yourself. The winner will get a huge virtual round of applause and will set the next month’s challenge (i.e. October 2013). 8. Here’s an optional badge that can appear on your post. Feel free to download. If you’ve never taken part in a writing challenge before, this is a great place to start. Who knows what your unconscious mind will reveal. Uncork your creativity (sorry) and enjoy writing and reading all the other interpretations. So are you up for this? 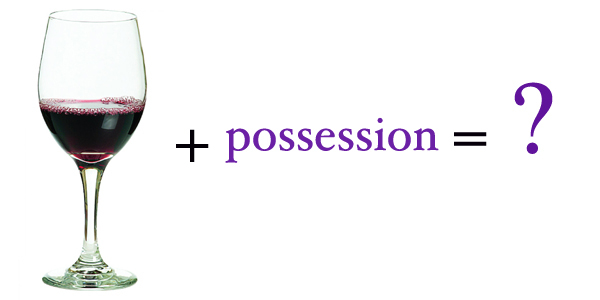 Oh do, do …please do… would love to read what you write about possession and wine. I love it! Can’t wait to read . . . and write!! Salud! Great Challenge, if I had time and things to say about wine I would definitely join in! Looking forward to see the posts. Oh I am really quite tempted as one of my aims for the new year (I still work on academic years) is to work on my writing. Oh do – would love your take on this. The entries for August were all excellent. Well done for winning 🙂 I’ll be braver and submit something this time! Really looking forward to reading it. How intriguing. I’m just about to start a paper on Gastronomy and Communication with, you guessed it, a wine writing assignment. I shall be looking to you for plenty of tips and examples. Great challenge. Wow – I love the sound of that paper. Where are you studying? what a good idea ! Just returned from Tuscany and the competition inspired me to do my next post on our visit to a fantastic vineyard The Salcheto, just outside Montepulciano. Just posted my piece on ‘Possession”. Great challenge! Woo hoo – fantastic post….and incredible collection of glasses! Great to see they are caretakers of the land rather than trying to possess. Fantastic post. I followed your blog–and I hope that means I’ll get a reminder to vote… I loved reading last months entries. Congratulations on winning! Voting starts soon – it’ll be in your reader on 24th – enshallah. And thanks for the follow. 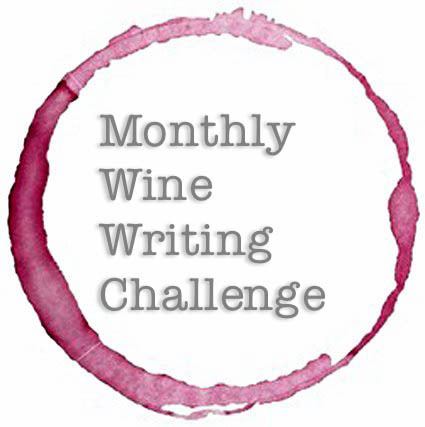 Monthly Wine Writing Challenge – are you up for it??? Great title and article. This is going to be a tough round to vote on. How to just pick one? Well, that’s why it’s good we can nominate three…and then see where the chips fall. That is still the policy, right? Glad you reminded me. Just trying to fix the poll settings for easy voting so a timely reminder!! This is the first challenge I have participated in. Great topic! As I was reading all the other posts for #MWWC3, I was inspired to write as well. http://red-wine-diva.com/2013/09/19/possession-its-mine-mwwc3/ Cheers! So glad you were inspired to write. Cheers indeed. Literal is good – especially as you did it with a twist. Love it. Well here is my foray, because I am possessed. I was really moved by your post. Does that mean I am too? I guess that is all predicated on the depth of your cellar, as you saw mine has too many, so I must fight the “possessed” feelings more often. I think I probably took massive liberties with my own theme too. You’d think I’d choose a theme with a post in mind wouldn’t you? Nope! Must be the influence of all that wine!